Yes, I know it is extremely early to be doing a list like this but it’s Friday, I have a day off, and I say why not. 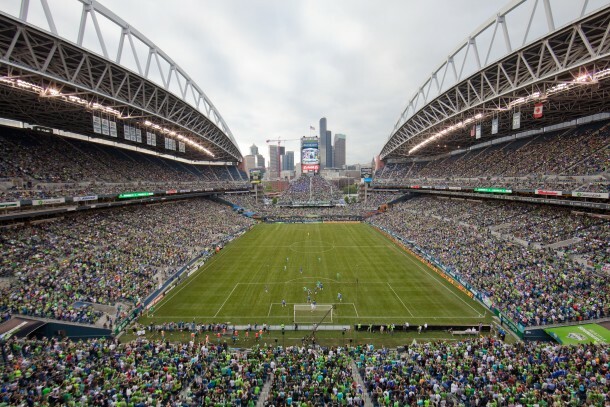 Just after national signing day I thought it would be a good time to break out the college reports and see who was worth a look at for next year’s MLS SuperDraft. The 2013 SuperDraft class was good but I already see the 2014 class as one that could be miles better. Of course a lot can and will change that between now and next January. The type of talent will also be a little different than it was in 2013, next year we’ll see more central defenders and attacking midfielders come out. I will eventually get into some Homegrown players that will make an impact on next year’s draft as well but for now here are 14 players worth keeping an eye on this fall. – Patrick Mullins (Maryland, Forward): Mullins easily would have been a top 10 pick had he come out this year and signed a GA contract. 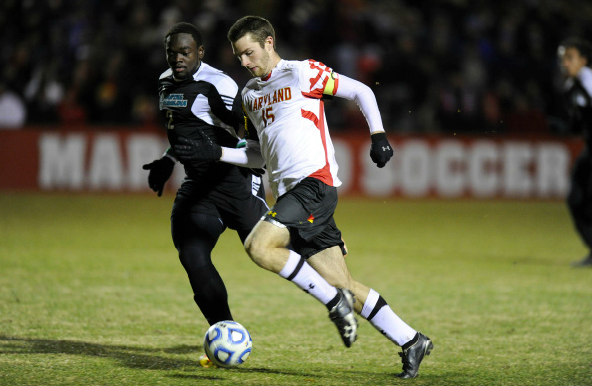 Instead he will go back for his senior year and try to lead Maryland back to the College soccer promise land. The big story will be if he can repeat as the Hermann trophy winner in 2013. – Steve Neumann (Georgetown, Forward): Another guy that probably could have been a first rounder had he signed with the league early. I’ve been told though that not many clubs were interested in him as a GA though for this year’s draft. So he’ll go back for his senior year and try to lead the Hoyas back to the College Cup. I’d imagine he’ll be a first rounder in 2014 though. – Kyle Venter (New Mexico, Defender): Do yourself a favor and catch a New Mexico game this fall. Seriously, this kid reads the game well and has the size to be a really good center defender at the next level. – Schillo Tshuma (Maryland, Forward): He is only going to be a sophomore this fall but expect him to have a big year as teams will be gunning to slow down Mullins. He has the speed that MLS teams covet and the raw ability on the ball that will make him a big time GA prospect in 2013. – Andre Blake (UConn, Goalkeeper): The lone keeper on my list today, Blake had some GA interests this past year but ended up staying in school for another season. He will still only be a junior this fall which means if he has another strong season, the GA deals will be coming his way. He has some decision making issues to improve on this fall and if he does, he could be a early first rounder in 2014. – Mamadou Doudou Diouf (UConn, Forward): Quick and good sized, he may need a little more bulk on him for the MLS game. But his speed will have people talking. It will be interesting to see him without Carlos Alvarez though this fall, if he can find a way to lead the Huskies, he’ll be one of those seniors that gets signed early after the College Cup. – Ema Boateng (UC Santa Barbara, Midfielder): He’s a left midfielder that will only be a sophomore this fall. He needs a stronger season in year two to snag a GA deal. – Pedro Ribeiro (Coastal Carolina, Midfielder): He does have one knock against him, he’s going to require an international roster slow. But there may be some teams willing to take a chance on the young Brazilian. He’s a crafty left-footed midfielder that is solid on the ball and is has a good IQ on the game. – Jared Watts (Wake Forest, Midfielder): A senior defensive midfielder that will should be a first rounder next year. The former U-17 national team player has good size and leadership qualities that teams look for in the draft. – Alex Martinez (North Carolina State, Midfielder): Brother of RSL’s Enzo Martinez, the younger Martinez is an attacking midfielder with good speed and ball skills. He’ll need a more consistent finish to his senior year if he wants to be a first rounder. – Robbie Lovejoy (North Carolina, Forward): Injuries will be what people talk about when they mention Lovejoy but if he bounced back and has a good senior campaign, people will soon forget his injury-ridden junior season. He has good speed and touch on the ball and will likely be a solid winger in MLS. – Nikita Kotlov (Indiana, Midfielder): Those watching the College Cup back in December will recall Kotlov on the wings for the Hoosiers. He was electric last year and has the chance to take over where Eriq Zavaleta left off. – Joey Dillon (Georgetown, Midfielder): Just like Ian Christianson before him, Dillon is a calm and steady midfielder on the ball for the Hoyas. He has the leadership qualities that teams like and could be a sleeper pick next year. – Mark Sherrod (Memphis, Forward): Teams love big forwards and Sherrod fits the bill perfectly. I saw him in a scrimmage recently against MLS talent here in Dallas and he stood out in a big way, scoring a goal as well. Someone will give him a chance if he has a good enough senior season.